Me : "Oh boy....Jason. I think it is time for us to go before they chase us ^_^"
This is too precious - love the pics and the bubbles! A perfectly told story. Very good. LOL! 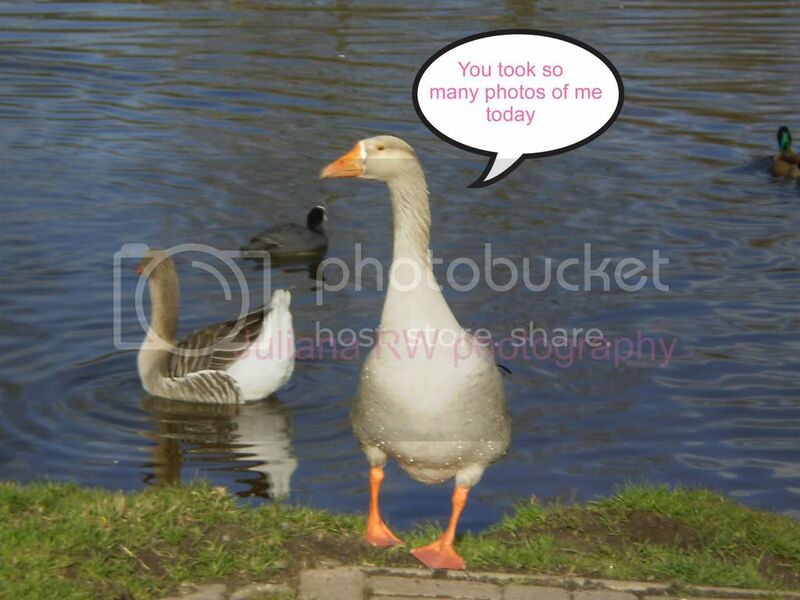 That goose sure told you ;) Great pictures! Take more bread along, lol ! they are cute !! Great post on Camera Critters,Made me smile and love the "quotes" from them too. Nice story board with your pics today. Made me smile. Nice of him to pose for you! I love your sense of humor! love the quote bubbles. Had a laugh! Love the photos. Nice ones. Love the photogs. You're very talented. I love the speech bubbles. Very entertaining. Thanks for visiting my other blog. Hehehehehe - this is a cute and fun post Jul! I love it. You had lots of fun taking photos of these geese. You were very creative here and it's great! Juliana: Those ducks look like they gave you the business. Really funny. Having been chased by geese (and a turkey once), I understand your decision to move on! Great shots! Thanks for visiting my site earlier today. Ha! 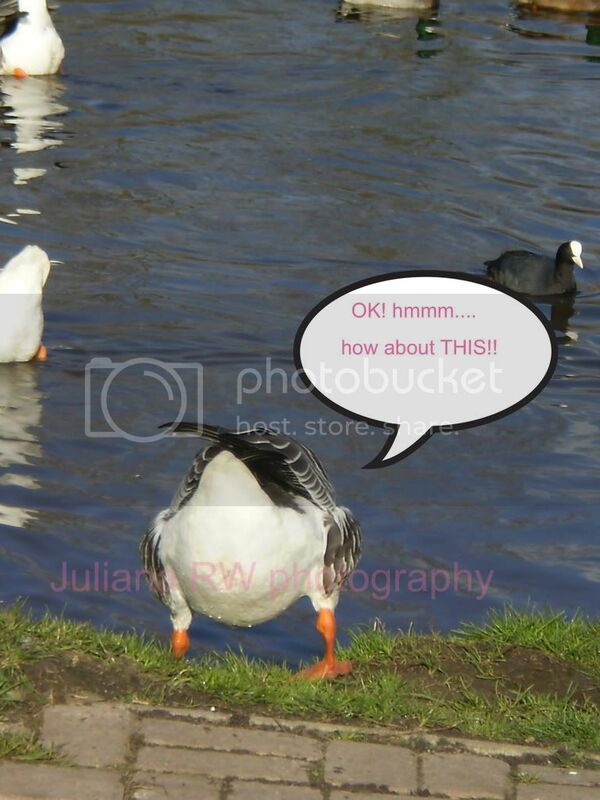 The goose showed his better side :) Now this is a "different angle"
HA! I love the conversation!! LOL! Great series of pics/conversations! That last picture is hilarious!!! that was funny and the photos are great! What fun! Made my day and so did your visit to my site. It's been a while since I've been "goosed". 8v) Nice series of shots. that shot is hilarious! you can sure get them!